We think of our cats as adorable and cuddly but the truth is that they are natural predators, experts at hunting birds and small animals. Cats have excellent eyesight, hearing and sense of smell and are adept at silently stalking their prey. Unfortunately attacks on wildlife are common and cats have been blamed for the global extinction of up to 33 species. The simplest way to protect wildlife is to add a bell and mirror to your cat’s collar. The bell will warn wildlife that your cat is approaching and give them a chance to get away. A mirror will also give advance warning by reflecting light. You can also use collars with a sonar beeper that produces high-pitched tones that alerts birds but does not bother us or cats. 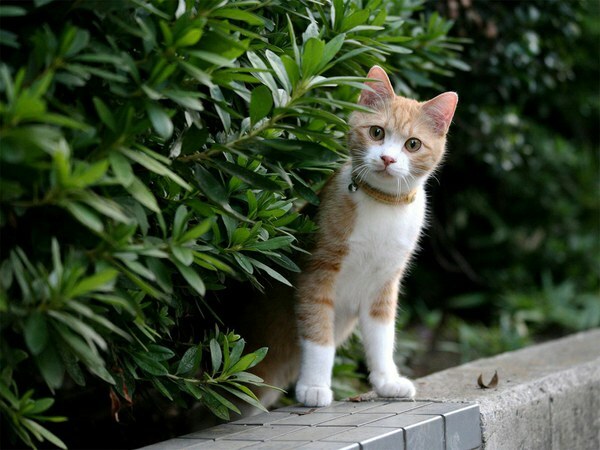 Neutering or desexing your cat will make them less likely to roam, fight and hunt. Cats are mostly nocturnal hunters who can and will travel fair distances when looking for prey. Keep your cat indoors or enclosed during the night and for the hour before dusk and hour after dawn. Even though pet cats are not hunting as their source of food, some cats will still want to hunt more than others. Also, you may live in an area where a lot of wildlife is present. If either is the case, you should consider keeping your cat indoors during the day as well, or having a suitably sized enclosed area outside on a verandah or in the garden. You will need to provide water, litter trays, shelter from the weather, bedding, perches, toys and activities for the cat. This may have limited success as hunting, stalking and pouncing are instinctual for cats but it will help discourage them. Spray your cat with water or use special scented deterrent sprays when you notice your cat hunting wildlife. Keep your pets inside where they belong. Plain and simple! I keep an eye out for my kitties when they go out under supervision, but not all cat owners do. HOWEVER ... I feel cats are getting a really unfair rap. Most birds and small mammals are disappearing because of habitat loss, pesticides, pollution, etc - ALL caused by humans. But cats get most of the blame, because heck, it's only cats. And they make very nice scapegoats for our idiocy. Sure, cats hunt, but they've been around for 10,000 years. It's only in the last 100 years that species are disappearing. Because of us. I'd like to see the assault on house and feral cats be rethought because it is contributing to horrible abuse, torture, and killing. And it's escalating. PetBucket.com, please do your part to stop the abuse. Thank you. My 8 years old son also loves outdoor archery, he always gets ready to go to try something new with compound bows and arrows. I would really appreciate the author of this post for sharing his experience with us.